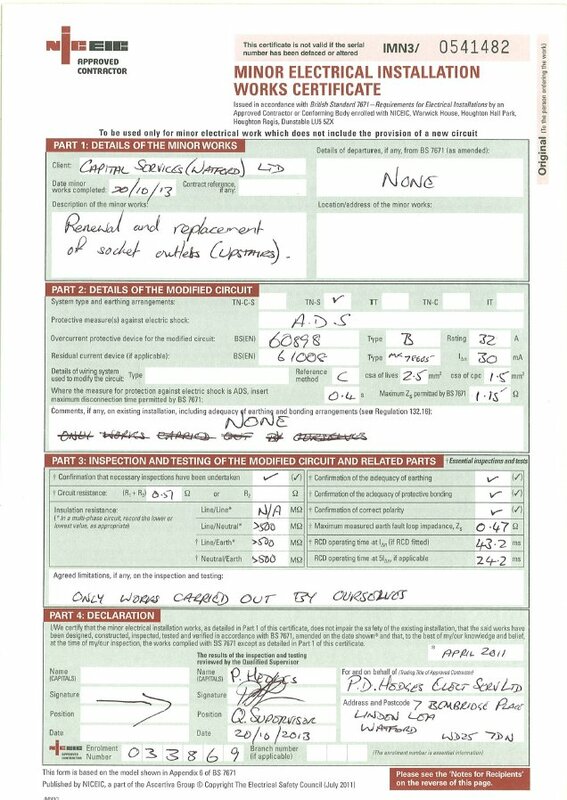 On the 24th May 2013, the project manager from Capital Services Ltd assured me that the electrical works have finished on my flat and there was a certification for that. On the same day my electrician from PGS Services Ltd came to the flat in order to complete some private works and he discovered that the electrics are not bonded to the mains water or gas. According to him this is against the regulations and for that reason he could not do his part of the job. 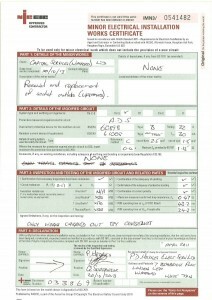 This had as a result to loose more than £100.00 for the appointment and had the private work incomplete. The project manager had offered to finish his job without any further cost to me. However, after his electrician did the job we had further problems. 1) The employees of the cleaning company complained of flickering lights during their visit of the middle of July 2013. 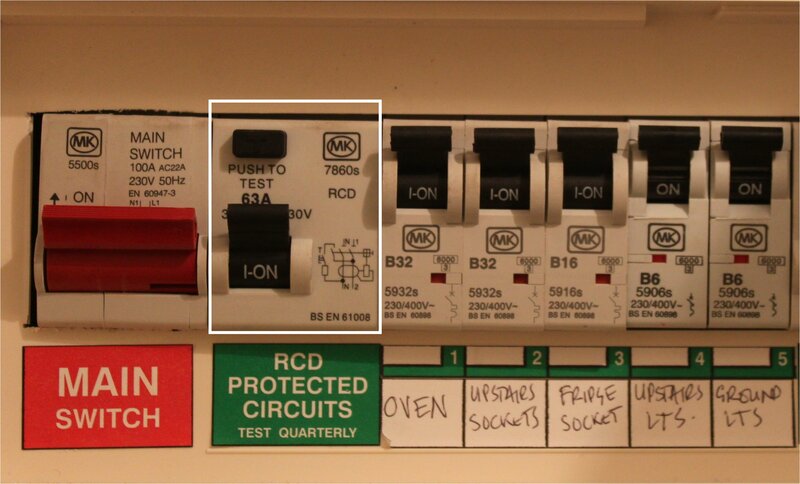 2) Also we noticed that when the main oven was on for more than 4 minutes then half of the fuse box was tripped. 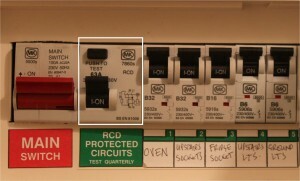 It was not the fuse for the oven only but the fuse for the whole section of the fuse box. See photo below. On the 09th December 2013, Mr Jonathan E. from Capital Services Ltd has told me that the electrics have been checked and that everything is ok now. On the 16th December 2013, the BRICS Contractor Manager from GAB Robins Ltd, sent us the certificates for the minor electrical works. some light fittings and sockets have been replaced. The only trouble is that those works have never happened and especially on a Sunday. Upstairs lights switch back boxes are not earthed. Downstairs lights switch back boxes are not earthed. 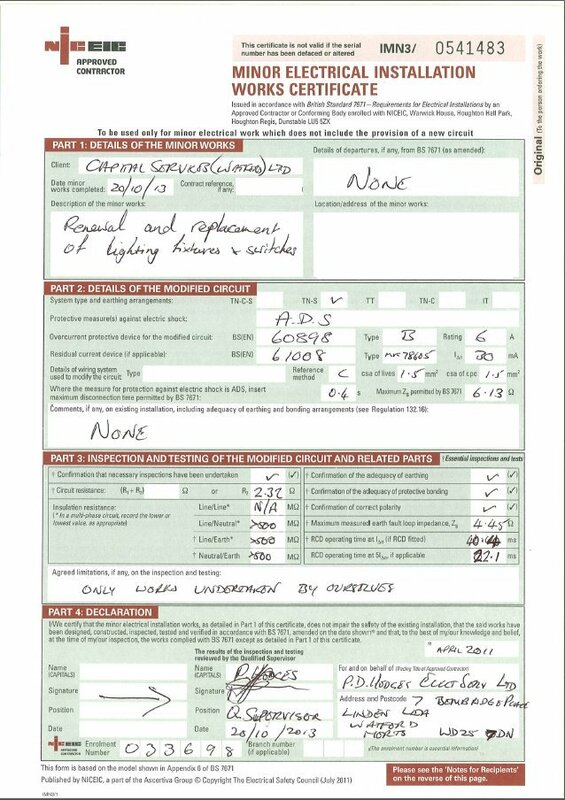 Upstairs lights do not tripping RCD.